I finally got around to reading this book originally published pseudonymously by Highsmith. Because I read the Bloomsbury edition it’s called Carol instead of the original title, but I wanted to be sure to read it before I got to see the film. Even if you haven’t read it you’ve probably heard the one important thing is that unlike every other exploitative and/or heartfelt lesbian novel at the time, it has a happy ending. But this is Highsmith, so she keeps you wondering until the last few pages. “The novel of a love society forbids” offers a lot of classic Highsmith: there’s an uneasy undercurrent of suspense that keeps you dreading the worst. The naive Therese seems destined to make a mess of everything and the cool sophistication of Carol almost makes you think she’ll turn out to be a killer or a psychopath, particularly when the two women discover a private investigator is tailing them. 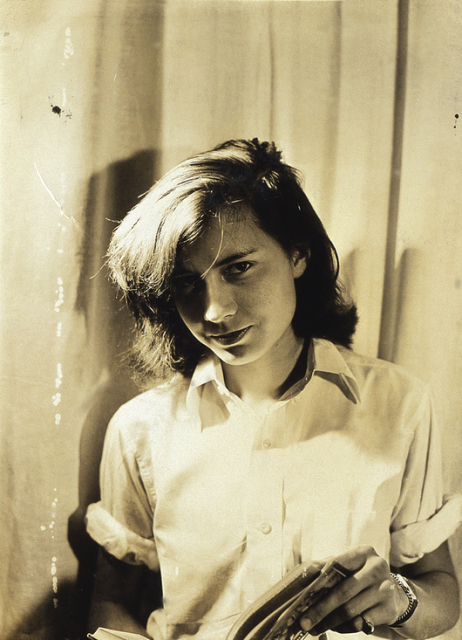 Superb, surprising and pure Highsmith. It was the dress of queens in fairy tales, of a red deeper than blood…she wished she could kiss the person in the mirror and make her come to life, yet she stood perfectly still, like a painted portrait. She looked at Richard’s face in the flare of his match. The smooth slab of his forehead overhung his narrow eyes, strong looking as a whale’s front, she thought, strong enough to batter something in…she saw his eyes open like unexpected spot of blue sky in the darkness. The milk seemed to taste of bone and blood, of warm flesh, or hair, saltless as chalk yet alive as a growing embryo…Therese drank it down, as people in fairy tales drink the potion that will transform, or the unsuspecting warrior the cup that will kill. How was it possible to be afraid and in love, Therese thought. The two things did not go together. See all the overlooked gems at Patti Abbott’s blog. ← Life Just Bounces into Bouchercon! Gold Medal, that is, the originals line at Fawcett Books. Meeker tried to get Highsmith to write for Gold Medal, a goldmine for writers in the ’50s, but perhaps the degree to which PH hated waiting one-page filler stories for Fawcett comics in the 1940s had something to do with her reluctance. So, instead, PH got about 1/4 as much money as Meeker did per novel, if that, but all the prestige she could eat, continuing to publish with Knppf.